If you’re following along with our Simplified Life 12-week Challenge, you know how we feel about Morning Routines! In short, we love them. Not because we always nail the perfect routine, but because the first few hours after we wake up are opportunity hours. When spent thoughtfully, these hours can create clarity and order, boost progress towards your priority goals, and lay the foundation for a successful day. 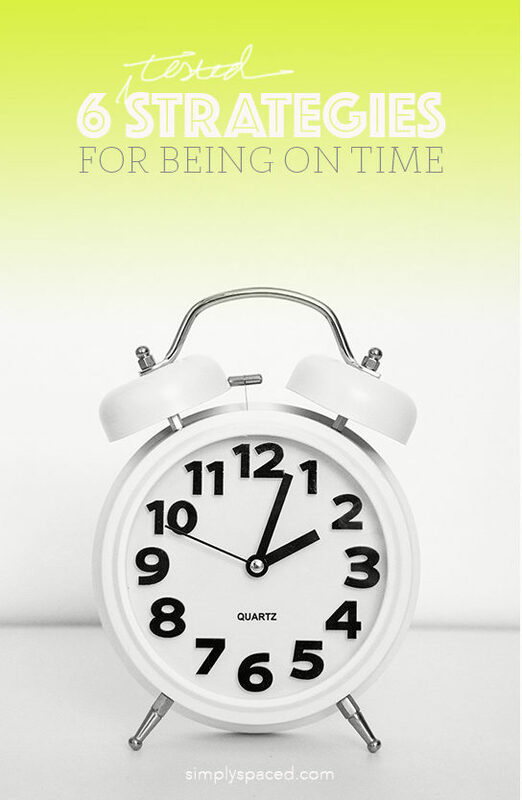 We encourage our clients and readers to wake up a wee bit earlier to take at least half an hour for themselves. But the truth is, not everyone has that luxury. And some people’s morning routine is actually their evening routine. We wanted to know, how do busy moms and business owners spend their mornings? To find the answer, we reached out to some of the smartest, hardest working ladies we know, our Professional Organizer friends! Here’s a look at how 6 Productive Parents &Professional Organizers spend their mornings. My morning routine ends up being around my 2-year-old son because having a toddler means I’m still doing most everything for him. Depending on my work schedule, my husband and I split the early morning responsibilities, but for the most part, as soon as I wake up, I’m getting Asher out of bed, stealing some cuddles and making breakfast for us. My favorite time of the morning is when I make myself some tea and put my make up on while Asher is busy playing or watching a show. This short amount of time to myself allows me to gather my thoughts for the day and plan in my head what needs to happen next. Unfortunately for me, I have a terrible memory, so I literally write everything down the second I think of it. The list on my phone is endless with thoughts, ideas, plans and schedules, but because it’s written down it makes it easy to move on quickly so I can keep a clear mind and review it when necessary. Every day is different for me (especially being almost 6 months pregnant with number two), so I make an effort to analyze my calendar and to-do list frequently, ensuring I feel confident with the following day before I go to bed. Because I have young kids who leave early for school, and I turn into a monster if I don’t get enough sleep, my aspirational morning routine is quite different from my actual morning routine. I’ll try to give you a glimpse of both below. I should also point out that because my kids leave so early for school I am diligent about my evening routine, which includes packing up snacks for me and lunches for the kids, laying out clothes for the next day, and packing up bags and backpacks. The evening prep is crucial for our morning routine to run smoothly and keep everyone on time. 6:45 am – (or often earlier) My two girls wake me up by singing at the top of their lungs, giggling hysterically, injuring themselves, urgently needing something ridiculous, fighting, or all of the above. 7:00 am – I remind girls to get dressed and make their beds, and go to the kitchen to throw together breakfast. 7:15 am – I remind the girls between 3-5 more times that I was actually serious when I told them to get dressed and make their beds. 7:20 am – Victory! They are dressed and come downstairs for a quick breakfast. 7:35 am – Girls clear their dishes and we make sure bags are packed up with homework and lunches. I help them get on jackets and shoes and my lovely husband (who has been showering and getting ready for his work day) walks them to school. 7:40 am-8:40 am – With the house to myself I am now free to get myself ready for my work day. I’d really like to say that I do yoga, write, meditate, and whip up a green smoothie and some organic eggs with fresh herbs, but then I would be a lying liar who lies. What I actually do is take a quick shower, grab something to eat, listen to some music or a podcast, check my email and pack up my work bag with water and a few snacks. When time allows, I write or stretch or go for a quick walk. I also do my best to write in The Five Minute Journal every morning. It truly takes a mere five minutes and helps me to set an intention for the day, clarify my goals, and stay present. Finally, in addition to being married to my Google calendar (which contains all of my client and project info), I also jot down notes for my day on a notecard which includes any appointments, errands, and any groceries I need to pick up for dinner. I pop this in my handbag when I leave the house and it keeps me on track all day! I am not a morning person at all, so my morning routine is approached in “survival mode” style! My saving grace is self-awareness and the fact that I do a whole lot of prep work in the evenings. I do everything that I can to set myself and my family up for success in the mornings. This includes packing lunches and backpacks as well my own tote bag. I also lay out clothes for the kids, and sometimes for myself. If I am having one of those days when I need to change my clothes throughout the day — like when the day begins with a garage organizing session and is followed by a new client consultation or parent/teacher conference — laying these out for myself is a must. I am an early riser! I have learned over the years that there’s something magical about that time to myself when I feel the rest of the world is asleep. I workout, journal, and set my intentions for the day all before 8 am. I would love to add meditation to my daily routine, but that is slowly coming along 🙂 Monday’s are usually administration days with my assistant to make sure our week is set up properly and go over all our goals for the week and discuss the previous week’s follow-ups. Tuesday–Friday (or Saturday) we see clients all day so those days are different, which makes the weeks projects fun and always changing. I love that every day is different so that morning routine is high priority to do before each day starts or else I know I would feel disorganized. 2017 goal is to go to bed earlier so I feel more rested and ready for the next day! Routine is key for me!! In the morning, it’s most important to me to try to get all the pesky household items done. There is satisfaction in checking easy tasks off the list first-thing. Also, because I work from home, putting away the clean laundry and emptying the dishwasher before my work day starts means less to distract me during my working hours. My morning routine…I have three kids, so we do the best we can with a “routine”…. Many people, including my business partner, Joni, will suggest that you do and prep as much as you can the night before to make your mornings easier. And I agree to a certain extent. But I have a very hard time getting myself to do tasks I don’t enjoy in the evenings (hello packing lunches) because I covet my evening free time when the kids are in bed and the house is quiet and I can watch Real Housewives. I am very fortunate in the sense that I have a two tiered morning routine and I can take the kids to the bus looking like I just rolled out of bed….and trust me – that happens more often than I would like to admit. My oldest child is always the first one up in the house. He generally comes into my room at 6:15am or 6:30am dressed and ready to go so he can have iPad time before school. I’ve been trying to encourage independence in the mornings, so if he is dressed, backpack packed, breakfast eaten, etc then he is allowed to play on his device until departure time. This has been a great motivator for him. My girls – sometimes they are up and sometimes I have to wake them up. They need some encouragement (aka constant reminders to “get dressed!” or “find your other shoe!”), but again – I’m working on developing that independence in my kids to make my mornings easier. I bring my phone with me to the kitchen in case of any last-minute phone calls or texts about the bus being late, but I specifically DO NOT start checking email. This helps me feel less stressed and allows me to focus on my kids. While the kids are having breakfast, I’m sipping coffee, making lunches, talking to the kids about the day ahead, and ensuring that everything (homework, permission slips, library books, etc.) are actually in the backpacks ready to go to school. You’d be surprised what a kid thinks when you say “have everything in your backpack ready to go.” It seems straightforward…..
At 7:05 am we’re out the door and on the way to the bus. Some mornings are super smooth and some are a bit more chaotic with a lot of yelling. We do the best we can. Once the kids are off, I’m back at home getting myself ready to face the day. I shower, get dressed, check in with my business partner to double check the agenda for the day ahead and I’m out the door.